For music teachers eager to learn more the 3rd El Sistema Academy take place at the Royal College of Music in Stockholm, 25-27 of January, 2019. Here is a presentation of the program and a link to registration. Welcome! With the world famous conductor Gustavo Dudamel as one of the initiators, the foundation of El Sistema in Sweden was formed in 2012 with the aim of bringing together and spreading El Sistema in Sweden. So far, nearby 10,000 children and young people and their families are introduced to Swedish culture and society through El Sistema. 45 music schools have implemented the methodology which also involves schools, pre-schools, professional orchestras and choirs and universities/colleges. The foundation of El Sistema in Sweden offers not only continuous education to music teachers in Sweden, though. Since 2017 the El Sistema Academy has gathered music teachers around the world for workshops in Stockholm. In close cooperation with teachers from Venezuela the Academy offers international expertise and the workshops are held in English. NEW for this 3rd year is that we offer many different seminars held by leaders of El Sistema from many countries in the world. You will have numerous options this year. Join in – and don´t forget to bring your instrument! The Academy 2019 starts with an introduction led by Eric Sjöström, Chairman of the board of the Foundation El Sistema Sweden, and the CO:s of the Concert Halls in Stockholm, Stefan Forsberg (Konserthuset) and Helena Wessman (Berwaldhallen). After that your choice of El Sistema Academy starts! Read the full program attached to this newsletter. Orchestra 1 and 2: These seminars are held by Ron Davis Alvarez, violinist and orchestra leader from Caracas, Venezuela. Since 2016 he is the Artistic Leader of El Sistema Sweden. In these two seminars he will give you a general picture of the El Sistema methods in orchestra leading and show how to implement it. El Sistema Piccolo 1-3: Here you will learn about teaching music to our youngest children in their daily environment in pre-school. Teresa Hedborg is a music teacher in El Sistema in Hammarkullens pre-schools, where the first El Sistema programs in Sweden started in 2010. 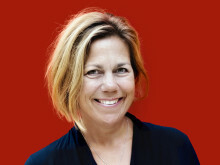 Teresa Hedborg teaches children 1-6 years old, in choirs and orchestras. El Sistema in the Concert Halls:In Sweden the El Sistema schools work closely together with professional musicians in our biggest Concert Halls in Stockholm, Gothenburg and Malmö, for example. How it works you will learn from Petra Kloo Vik, Gothenburg Symphonics, and Karina Svensson, The Royal Philharmonics in Stockholm. 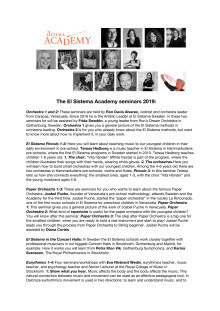 Eurythmics 1-4: Four seminars/workshops with Eva Nivbrant Wedin, eurythmics teacher, music teacher, and psychology teacher and Senior Lecturer at the Royal College of Music in Stockholm. Children with special needs 1 and 2: In these seminars Francis Gagliardi, musictherapist from Venezuela, will share her methods working with children with special needs. Including the Family: In this workshop you will learn how El Sistema in Sweden includes the childrens families. Johannes Lind from El Sistema in Örnsköldsvik in the north of Sweden presents the Swedish ”Vänstays”. In Harmony Liverpool: Ten years ago, In Harmony Liverpool was launched in Everton inspired by the Sistema movement. Zoe Armfield, In Harmony Liverpool Manager, has worked on the programme since it began and will lead a seminar together with evaluation consultant Susanne Burns. Orchestra in pre-schools: After the Paper Orchestra the children are well prepared. They know the routines of the orchestra already and are eager to learn how to play. Francis Gagliardi and Ron Davis Alvarez presents how to form a real orchestra with the youngest ones. Brass for young beginners: This is a workshop where you will learn how to teach brass to children at the ages 9-10 in a fun and playful way. Brass and eurythmic teachers Katarina Stener Wejfalk and Michal Stasiak from El Sistema in Malmö will share their experiences. Side by Side – how to conduct several hundreds: Since 2015 Ron Davis Alvarez has been part of the yearly international music camp Side by Side by El Sistema in Gothenburg, Sweden. The camp connects several thousands of young musicians and Ron Davis Alvarez is leading rehearsals and giving concerts with several hundreds of children in the different orchestras. Altruism in a musical context: The children we meet during the week often live under tremendous pressure. Living under constant stress results in difficulties for the students to be able gather information in a calm and focused way. Flute teacher Lucia Goenaga and violin teacher Sara Tufvesson from El Sistema in Malmö work with meditations and breathing exercises. Table discussion: In this seminar specialists within El Sistema inspired programs will discuss what would be an insteresting repertoirefor the future. This is not a seminar that offers a conclusion, this is alaboratory to find solutions together, so bring your ideas and share them. Programs for refugees: When he arrived to Sweden in 2015, Ron Davis Alvarez came at the same time as many thousands of young refugees, coming alone from Afghanistan, Syria, Eritrea. In April 2016 he formed the Dream Orchestra, now consisting of more than 60 young boys and girls, mainly refugees. Ron Davis Alvarez has also worked with palestinian kids in Libanon and as a guest teacher in El Sistema Greece. Sistema Portugal: In early July, Sistema Portugal Orquestra Geração celebrated its 10th anniversary in Lisbon. Juan Carlos Maggiorani, artistic director and also a board member of Sistema Europe, is attending the El Sistema Academy in Sweden for the first time, to present Orquestra Geração – Sistema Portugals first decade. Panel talk: After three days of your choices of seminars, we will end the El Sistema Academy 2019 as we started it – all together. This year with a panel talk with representatives from Sistema Europe. TIME: Friday 25th of January at 1 pm (registration opens at 12) – Sunday 27th of January at 12. PLACE: The Royal College of Music, KMH. Address: Valhallavägen 105, 115 51, Stockholm, Sweden. COST: 4,450 SEK. Additional costs for food and accommodation. Shared meals are available as an option in the notification. In total for Academy and meals: 5,500 SEK..
FULL PROGRAM: See attached document below. REGISTRATION: Click here to register and make your personal choices. Register before 15 of January 2019 to make sure you will be one of the maximum 120 that we can offer participation. INSPIRATION: El Sistema Academy 2018! ​Programmet till El Sistema Academy 2019 är nu klart! Anmälan är öppnad och vi ser fram emot ett stort och internationellt möte med alla pedagoger i januari. På nationellt plan möts vi i en mindre grupp redan om två veckor, då representanter för El Sistema Sveriges repertoarråd samlas. Viktiga samtal förs nu också i media om den inkluderande kulturskola vi alla har som mål. 25-27 januari i Stockholm, 28-29 mars i Umeå och 15-19 juni i Göteborg – det är vårens viktiga datum för möten inom El Sistema. Dessutom firar vi El Sistema Day 9 maj runt om i landet. 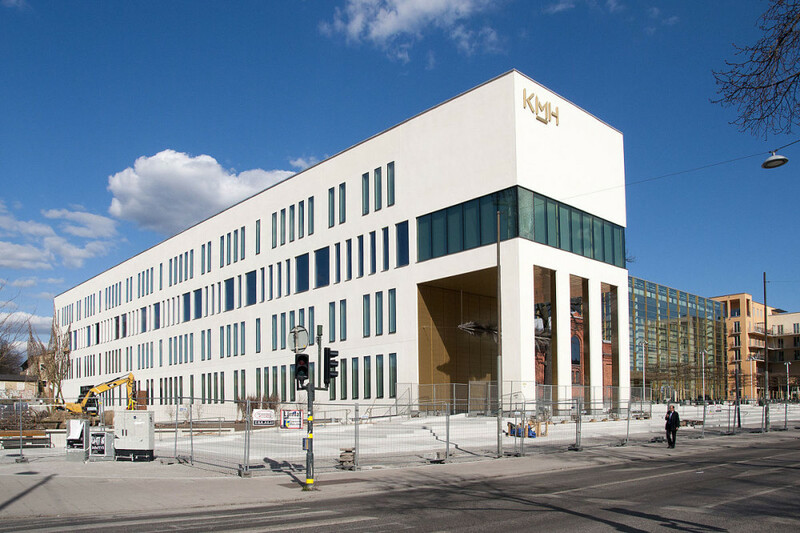 Men först – anmäl dig till Academy senast 1 december!